When the news broke that Michael Flynn had resigned from the position of national security adviser, the loud cheers from those on the left were deafening. They managed to torpedo one of President Trump's closest advisers. 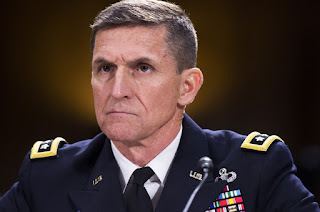 If you listened to the mainstream media and print journalists over this incident, you would be led to believe Flynn had done something highly illegal and it was a major scandal. The old saying is, where there is smoke, there is fire. But is that true in this case? Behind every headline is a story and behind every story there is so much to talk about. So let's go beyond the headlines and the false narratives and get to the real story that should be very concerning to most Americans.